Last June I spend several hours wandering through Mondial de la Bière (Montréal’s largest beer festival), trying beer after beer from some of Quebec’s best. 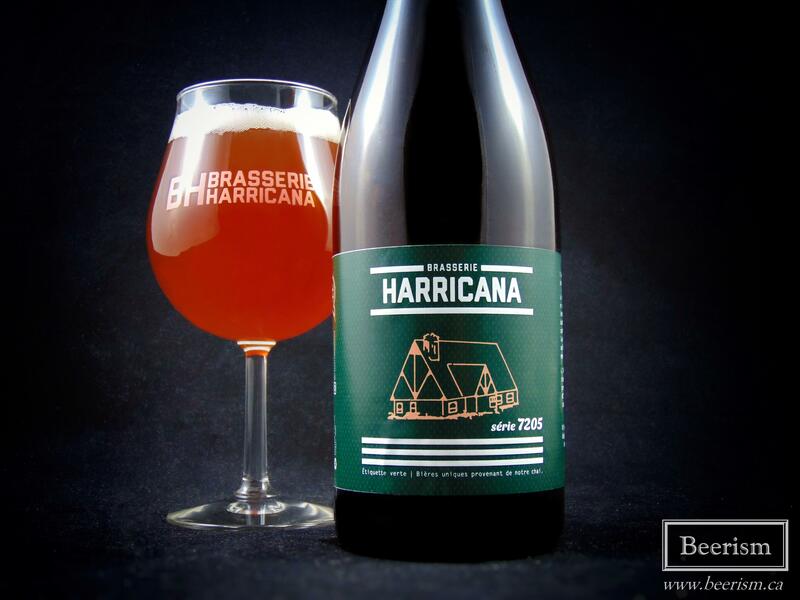 When I arrived at the Brasserie Harricana kiosk, I was greeted by an old friend, Francis Richer, who had recently taken the helm as head brewer. I was excited to try what he was pouring. 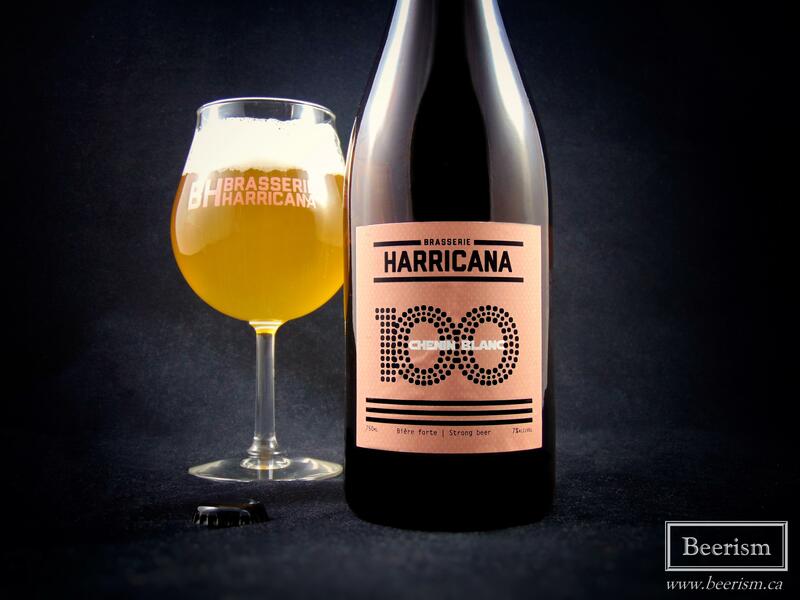 From the limited number of beers I’ve tried from Brasserie Harricana, I’ve always enjoyed their ingenuity, balance and overal drinkability. That said, the beers I had at Mondial that day were taken up a notch – Francis was nailing it. From their Le Memphé collaboration (a barrel aged imperial Porter brewed with various adjuncts in order to mimic a B52 shot), to several other brilliantly executed beers, I was taken back by just how amazing and complex some of these new offerings were. So, when I saw that they were finally releasing barrel-aged beers in bottles, I knew I needed to write about them. 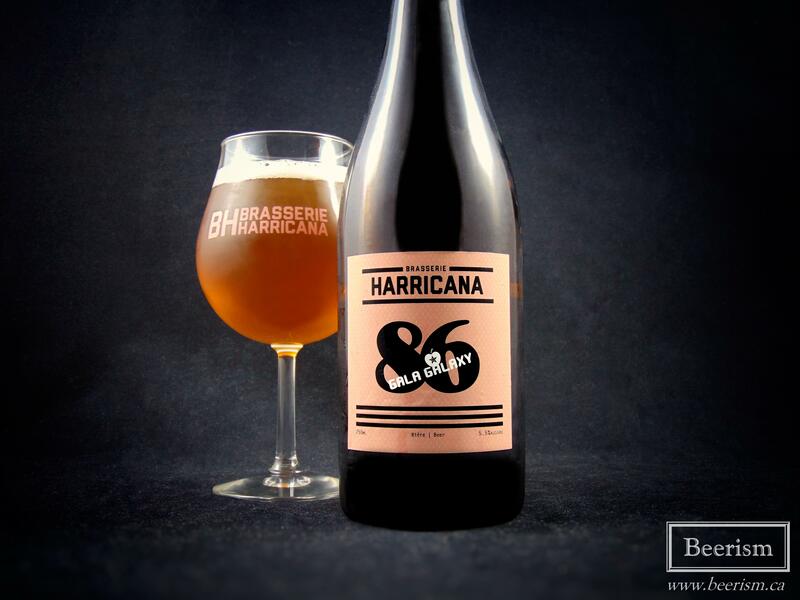 Last winter, Brasserie Harricana bottled and sold beer to go for the first time. They released three new bottles as part of their “Black Label” line of beers, and if you’re interested in reading about these gems, I covered them at the time in an article available right here. 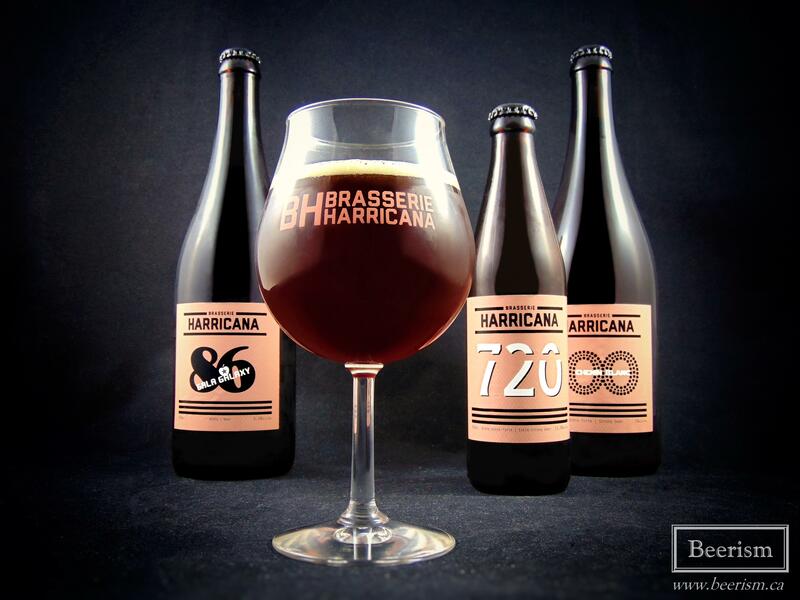 Brasserie Harricana will have four types of products: (1) the black labels, which focus on off-style, generally adjunct-infused beers that may or may not be brewed for food pairings, (2) white labels, that will concentrate on classic or traditional styles, (3) pink labels, showcasing their barrel-aged wild beers, and lastly (4) their green labels, which are one-off experimental barrel-aged beers. 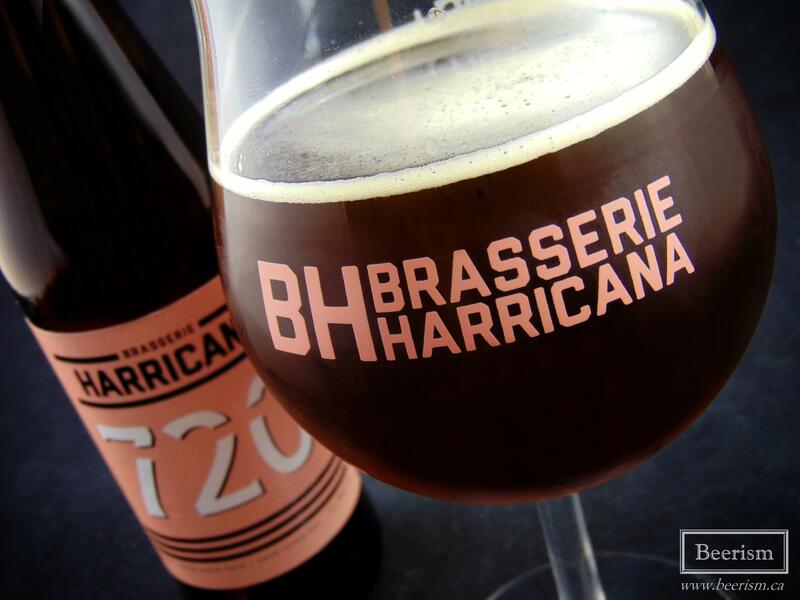 Today, I’m going to talk about the latter two colours, examining how Brasserie Harricana does with barrel-aging. However, before we get into the tasting notes I wanted to mention some exciting news. 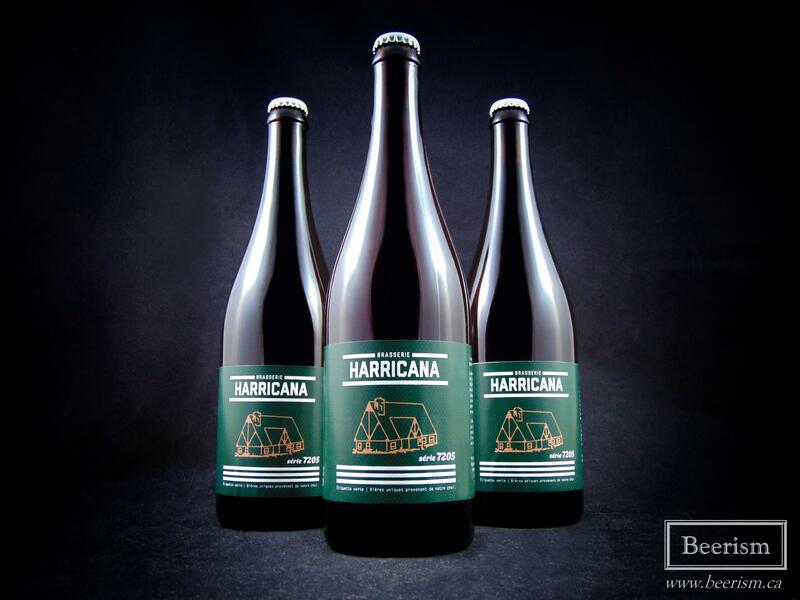 Brasserie Harricana is opening their very own bottle shop this coming Saturday, September 30th! That’s right, you will now be able to simply head upstairs from the brewery and purchase an array of bottles, counter-pressured growlers, and lots of merchandise to take home with you. The boutique’s address is 7205 rue Saint-Urbain, and at 1:00pm on Saturday, they will be throwing a bottle release where many of the bottles I’m about to talk about will be available for purchase. Go check it out! However, before you head down there, here are my thoughts on several of their barrel aged bottles. I first tried 720 at Mondial this past June, and I was very excited to revisit. This beer is comprised of 100% pale malts, but managed to become a rich brown colour simply by caramelizing during a 12 hour boil. It then sat in previously used bourbon barrels before being bottled. The layers on the nose are incredible, beginning with a gigantic caramel bomb, followed by loads of vanilla, oak and sweet bourbon. Dark cherries and over-ripe strawberries come through as well. Chocolate, maple taffy and light roasted coffee beans start peeking through in the background, further enriching the aromas. The palate matches, with lots of caramel and bright cherries leading the way. This is followed by a big (but balanced) bourbon presence, lending vanilla, oak, and some heat. Next comes rich chocolate and coffee notes, so much that you’d swear there were adjuncts added. There is certainly a sweetness here, but the finish is bitter enough to keep things in check, and the high ABV heat also assists with this without being a boozy ethanol bomb. I’m loving the balance here; the caramel sweetness and coffee flavours are beautiful, while the body delivers a rich and warming mouthfeel. Side note, the bourbon barrel used for 720 previously contained Péché Mortel (coffee infused imperial stout), so that explains why I got so much coffee essence. Chenin Blanc is a Belgian strong ale with white grape must added and then barrel-aged with wild yeast. The nose is a dusty brett bomb, carrying loads of wine-soaked oak, pears, honey, and zesty citrus acidity. The palate is similar, but with a richer sweet honey component, that lends a roundness to the dry and tart finish. White wine, lemon, grapefruit, and candied oranges lead the way, finishing with a phenolic brett linger that leaves a dry and slightly astringent bitterness. There is a slight acidity from the grape must, which, when coupled with the tannins, helps dry everything nicely, leaving echoes of honey sweetness alongside hints of floral notes. The oak is in-your-face, and perhaps a touch too much, leaving a slight astringent layer that can take away a bit from what’s going on. That said, it’s minor. Gala Galaxy bridges the gap between cider and beer, landing somewhere between a Berliner Weisse and a dry cider. It’s aged in cider barrels and hopped with Galaxy to further compliment the fruity profile. The nose wafts big spicy oak aromas, with rich macerated apples, bright tart notes of tangy citrus and some juicy hops. There is a candied fruit component here as well, lending some sweetness to the aromatic profile. The palate matches, with some rich fruitiness, mainly consisting of cider and grapefruit. However, there is a potent and almost overbearing tannic bitterness that sweeps through the palate. This is dry to the core. As my palate adjusts to the astringency, more nuanced flavours arise, especially dank oak and some juicy hops. However, this is quickly interrupted by pithy grapefruit rinds and apple peel. Overall this is quite nice, but almost bit too tannic for me. I’d love to see that scaled back a touch. Série 7205 represents bottles that are interesting barrel-aged one-off experiments that will likely never return. 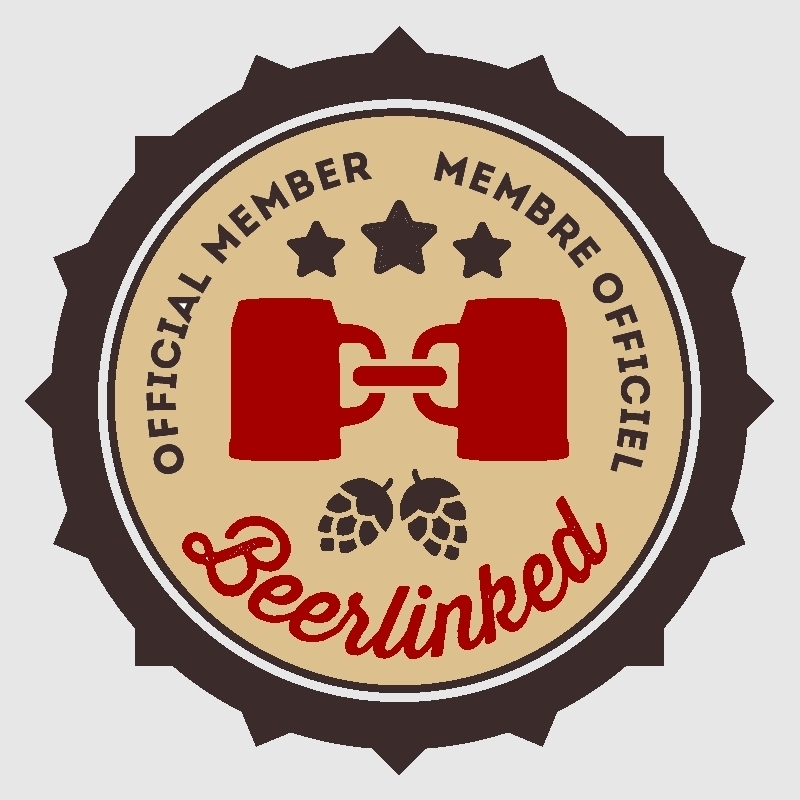 Each beer in this series will be assigned a simple suffix. This is 7205.002. Sorry, I drank them out of order. 7205.002 is comprised of 75% mix fermented sour beer, barrel-aged for 9 months, and 25% young Saison, also refined in barrels. The nose is comprised of rich wine soaked oak, dusty phenols, ripe apple, plum and old basement. The palate matches, carrying a robust vinous profile, lending tannic grape skins, and damp oak richness. There is an apparent acidity that washes the tongue after each sip, but it’s not so potent as to detract from the overall flavour profile. Light cherry, red grapes and apple skin make up the fruit profile, while layers of bretty funk and lactic acid dance on the palate. Like so many of these beers, this one really blurs the lines between beer and wine. The tannic potency is extremely aggressive, as if sipping on an extremely dry red wine, while also having an acidity that lends a brighter and more crisp drinkability. The flavour profile begins with a potent tannic dryness that takes over. As my palate adjusts, a roundness emerges, allowing the other flavours to come through. Huge fruity vinous notes are complimented by an apparent, but not too aggressive, acidity. Cherries, raspberries, and grape skin lend more fruity elements. Although being oak-forward and carrying lots of earthy and rich wine-soaked woody complexity, I’m not getting too much of the tequila – maybe just hints in the background. 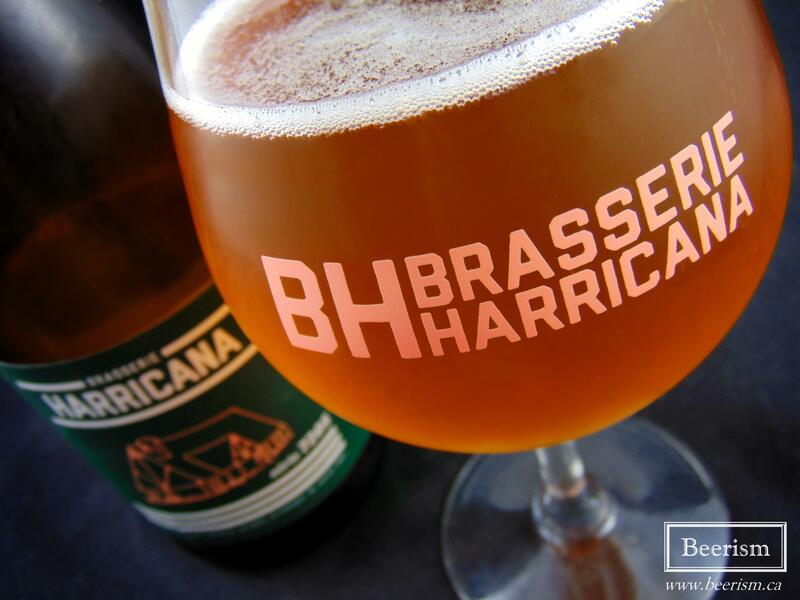 Overall, I think Brasserie Haricanna is doing some fantastic things. Whether it’s the constant innovative collaborations, or the interesting use of adjusts, they are certainly adding something new to the craft beer game in Quebec. And I can only see it getting better. Francis Richer has years of experience as a brewer, and is dedicated towards creating quality and balanced beers that at times are off the beaten path, while still being accessible and drinkable. Specific to these barrel-aged products, I was once again impressed. The use of grape-must and cider were, at times, quite brilliant. The combination of extremely tannic vinous notes alongside the brett and acidic elements create a flavour profile that feels interestingly new and innovative. There was a dryness and tartness in these beers that mimicked an aggressively tannic red wine. For those that also dabble in cider and wine, both the pink label series and the green labeled 7205 series are a must needed purchase. Once again, this Saturday, you can head over to 7205 rue Saint-Urbain at 1:00PM to pick up most of these bottles, and many more.